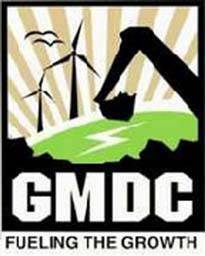 Gujarat Mineral Development Corporation Limited (GMDC) published notification for recruitment for General Manager (IT) in Ahmedbada Branch. View more information about recruitment for e.g. educational qualification, selection process, pay scale details, application fees, no of post, name of post, how to apply, important dates, important links all are as under. Educational qualification: MCA or B.E. (Computer /IT) or Equivalent with Minimum 55%. Experience: Fifteen (15) years experience in Large Industries Organization out of which minimum five (5) years experience must be at responsible position in IT/Computer department on a post not below the pay scale of Rs. 15,600- 39,100 (GP Rs. 7,600) as per sixth pay commission or equivalent pay scale for persons working in a PSU/Government Department/Undertaking. Or The candidates having experience in non Government Organisation should have fifteen (15) years experience out of which five (5) years should be at responsible senior position in the field of IT especially in handling ERP based modules. Age limit: Maximum age 50 years as on 30th April,2017. Application Fee: Candidates should submit non refundable application fee amounting Rs. 500/- for the post of General Manager [IT]. Reserved category candidates belonging to SC, ST & SEBC are exempted from payment of application fees. Interested and eligible candidates should apply online on i- Recruitment portal through link. Candidates should submit copies of following documents duly self certified along-with the demand draft of application fee in favour of “GMDC LTD” by registered post so as to reach in this office on or before 5th June, 2017. Simultaneously, the candidates should submit their application online on i recruitment portal of GMDC on or before 5th June, 2017. No physical application shall be accepted. MCA/B.E. [(Computer)/(IT)] Mark sheet along-with clear calculation of percentage of marks obtained at BE level. Experience Certificate along with reliving orders of previous employers.